In 2015 the Goodwood Revival celebrates the Shelby Daytona coupe, fifty years after the car scooped the 1965 World Sportscar championship. Only six examples of the Daytona Coupe were ever produced, its name acquired in reference to the car’s debut at the Daytona Continental race in 1964, at which its drivers Dave MacDonald and Bob Holbert caused a sensation by securing pole position and leading the first third of the race. The Daytona coupe was a fixed-roof racing version of the mighty Shelby Cobra, itself originally based on the British AC Ace. The Cobra famously came about after American Carroll Shelby, winner of the 1959 Le Mans 24 Hours, fitted the Ford V8 engine and strengthened gearboxes to the re-bodied Ace sports car, shipped over by the Thames Ditton-based manufacturer. Renowned designer Peter Brock came up with an ultra-aerodynamic body ideal for high top speeds and the Daytona Coupe was born. Raced by superstar drivers of the era like Dan Gurney, Phil Hill and Chris Amon in the World Championship held for closed-top GT cars during that time. After a Le Mans class win in 1964, a dominant campaign in World Sportscar racing in ’65 ensured that Shelby became the first American marque to take the title with numerous class wins from the car. This included Daytona, Sebring, Le Mans and the Nurburgring, with programmes run by Shelby International, Alan Mann Racing and, on one occasion, Scuderia Filipinetti. 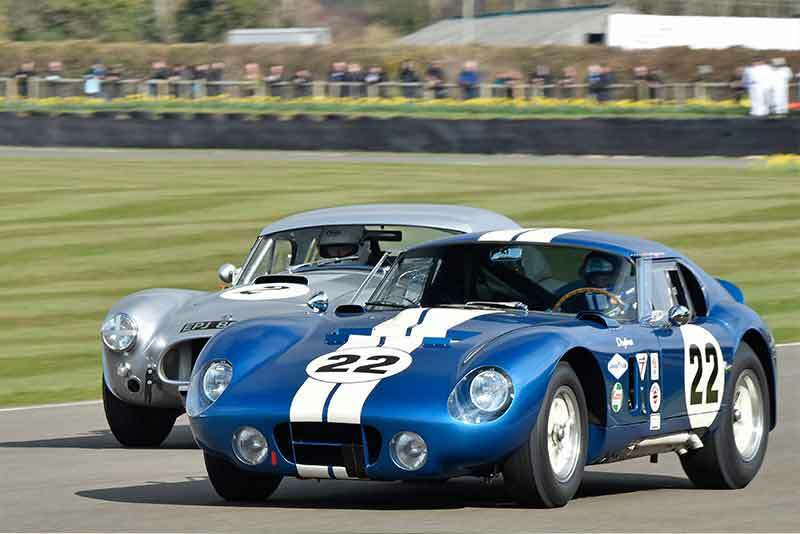 The Goodwood Revival 2015 event celebrates the 50th anniversary of that World Sportscar title. 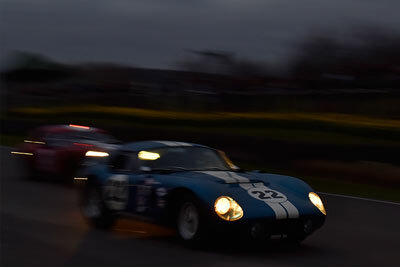 It is also the first time in history the cars will come together at Goodwood. They will take part in a special demonstration run on each day, along with a selection of other significant original Shelby Cobras. Organisers have also promised that at least two Daytona’s will race in the Revival’s headline race, the RAC Tourist Trophy Celebration, on Sunday 13th September. All the Cobras will be housed in a special area within the main paddock, dressed to resemble the pitlane of the 1965 Sebring 12 Hours, for this very special celebration. This never-before-seen collection of the V8 racers at the 11-13 September event is sure to be a highlight for the 150,000 visitors over the Goodwood Revival weekend.